The mother of two lives in study-mad South Korea, a nation where parents fork over a combined $17 billion on private tutoring every year. Children start early – 83 percent of 5-year-olds receive private education — and the pace keeps intensifying until, at age 18, students take the dreaded eight-hour suneung university entrance exam. Flunk the suneung and your job prospects could nosedive. Pass with flying colors and you may land a coveted spot at a top-ranked university. Most South Koreans have never met a Jew. Aside from a small Chabad house in this capital city and a few informal groups of (mostly secular) Jewish expats, South Korea’s Jewish community is virtually nonexistent. As such, South Koreans know next to nothing about how Jews live, what they eat (and don’t eat) or what they believe. However, there is one fact about Jews that just about every South Korean can recount. Some South Koreans think the key to unlocking such “secrets” can be found in Jewish approaches to education. The result is dozens of private chavruta-themed academies, with busy branches in major cities throughout the country, catering to everyone from toddlers to adults. Some make use of Korean-language Talmudic texts, while others follow entirely secular curricula. Kim Jung-wan, who directs one such academy — the Havruta Culture Association — explains that South Korea’s Jewish education quest is over 40 years old. It began in the mid-1970s, when Korean translations of Talmud-inspired stories by Rabbi Marvin Tokayer, an American military chaplain stationed in Japan, first arrived in Seoul bookstores. Tokayer’s stories were a runaway success. The Talmud, the vast Hebrew and Aramic compendium of first millennium law and lore, effectively went viral in South Korea: In the decades since, hundreds of Korean versions of the Talmud have appeared, mostly deriving from English-language translations and commentaries. These range from picture story books for children to thicker, more ponderous volumes for adults. But South Korean Talmud fever also sparked a highbrow fascination with Jewish knowledge – one that has spawned all manner of remarkable publications, including a Korean-language translation of the Haggadah, the book Jews read at the Passover seder. And, as Kim Jung-wan explains, interest in the Talmud eventually led Korean academics to explore how Jews study religious texts. They began to learn about yeshivas, academies that are devoted to Talmud scholarship. South Korean consultants paid visits to some of Israel’s busiest Talmud study centers. What they discovered inside sent their hearts aflutter: vast halls resonating with the clamor of heated student discussion, with teachers’ voices nowhere to be heard. Pairs of Talmud students — chavruta comes from a Hebrew root meaning “friend” or “companion” — locked horns in lively debate over texts, parsing its logic and debating a series of written questions posed by teachers. 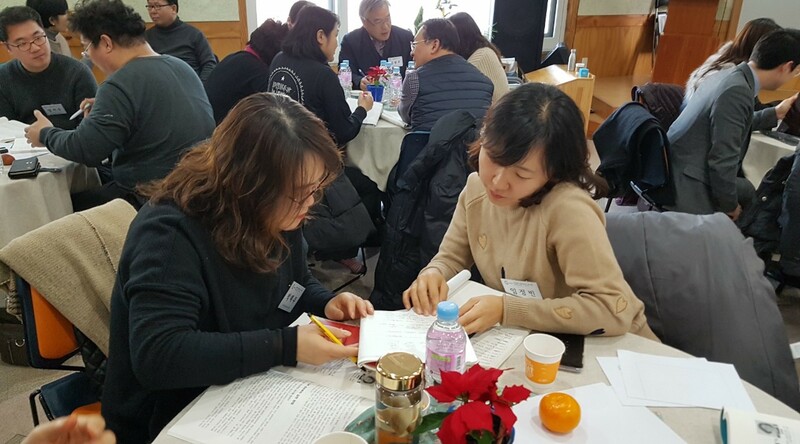 For many South Korean thinkers, this was the “secret” they had been after since the 1970s: a learning methodology that added dynamism to book-based learning and removed the teacher as the focal point of lessons. Kim Jung-wan’s own long chavruta journey began in 2001, when an academic acquaintance suggested he use the Talmud as a teaching tool for his son, then just a year old. “I kept exploring the subject. I was fascinated,” he said. Kim Jung-wan went on to study Hebrew at the Israel Culture Center, an affiliate of the Embassy of Israel in Seoul. In fact, most Orthodox yeshivas follow a policy of tactfully dissuading non-Jews from pursuing Talmud study. South Korean academics, however, appear undaunted. Skeptics urge caution, noting that South Korean education fads tend to come and go, especially in the ultra-competitive world of private academic institutions. Critics warn that while advocates are currently singing chavruta’s praises on TV talk shows, the phenomenon may prove to be another flash in the pan. The methodology is gaining mainstream acceptance fast, moving from private academies into conventional public classrooms. In December, one of the largest teachers’ trade unions in the country, the Korean Federation of Teachers’ Associations, struck a memorandum of understanding with the Havruta Culture Association. The resulting partnership will see scores of regular schoolteachers learn how to initiate chavruta-style learning sessions. “Many newfangled educational trends have come and gone here,” Lee Hyo-sang of the teachers’ federations said. “Most fall out of fashion after about five years after failing to deliver on their proponents’ promises. But chavruta is different. It has a history that goes back centuries. Even preschoolers are getting in on the action. Yoojung Kindergarten, a preschool in northern Seoul, recently added chavruta modules to its curriculum. Children listen to stories from the Talmud and then embark on chavruta-style peer discussions. Parents also believe they can play a part. 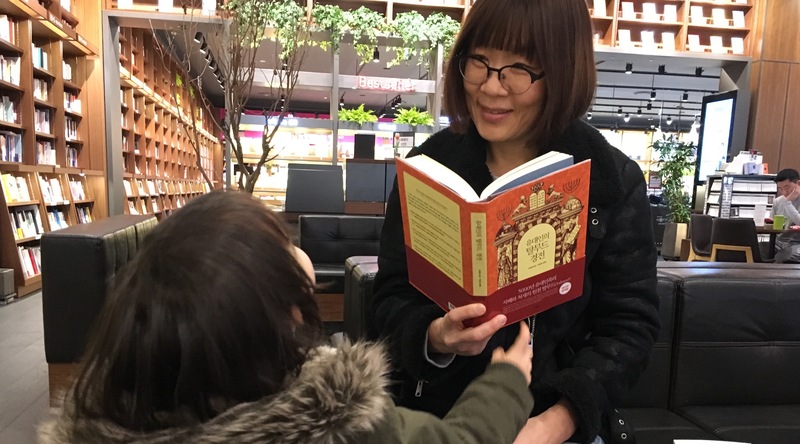 As she began to read more about the way Jewish scholars practice chavruta in yeshivas, Kim Hye-kyung started thinking of ways to adapt the same methodology at home. She began with family readings of picture story books, encouraging her husband and children to ask one another chavruta-style questions at every step of the way. Kim Hye-kyung has gone on to apply her home-chavruta methodology to a range of secular subjects including math, languages and science, and has ended up writing two popular manual-style books outlining her methods. The post Talmud-inspired learning craze sweeps South Korea appeared first on Jewish Telegraphic Agency.